Andrew Wise is the Chair of Miller & Chevalier’s Litigation Department. He defends clients in white collar criminal and civil trials and represents multinational companies in fraud and anti-corruption investigations. The most recent edition of Chambers USA recognized Mr. 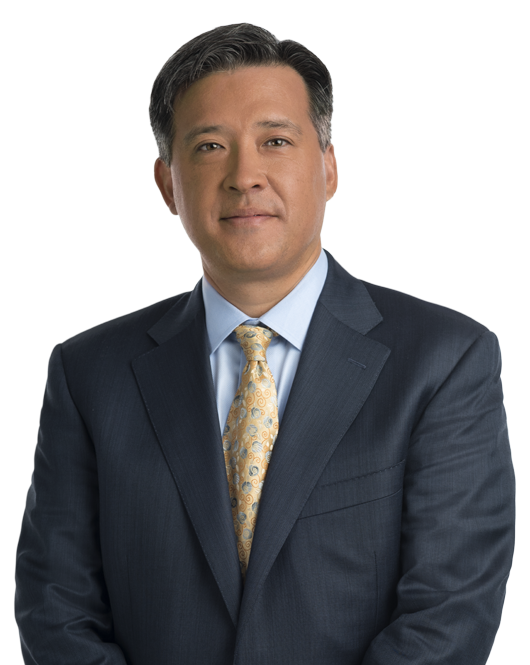 Wise for his white-collar crime and government investigations work and described him as "highly thought of for his white-collar expertise … has key experience in taking cases to trial as well as handling complex investigations," and "extraordinarily detailed, passionate, whip smart and just a great, great advocate." Mr. Wise has defended clients in cases involving the Foreign Corrupt Practices Act (FCPA), mail and wire fraud, bribery and honest services fraud, price-fixing, and tax fraud. In addition, he has extensive experience handling cases involving investigation-related offenses such as perjury, false statements, and obstruction of justice. In addition to his trial work, Mr. Wise has conducted internal investigations into potential violations of U.S. laws and regulations, including most frequently the FCPA, and has advised clients on compliance challenges and enforcement issues arising out of those investigations. He has written and spoken on navigating simultaneous criminal investigations and civil proceedings and mitigating the collateral consequences of governmental enforcement actions. In addition to his recognition by Chambers, Mr. Wise has been named as one of Washington’s top trial and white collar crime lawyers by Washingtonian Magazine and recognized by Ethisphere Institute as one of the "Attorneys Who Matter" because of his work in the enforcement and compliance areas. Before joining Miller & Chevalier, Mr. Wise worked at the Public Defender Service for the District of Columbia, where he defended indigent clients charged with serious criminal offenses in the District of Columbia Superior Court. During his career, Mr. Wise has tried more than 50 cases to resolution before juries and judges in federal and state courts. Led the trial defense of Kevin Ring on charges of conspiracy, honest services wire fraud, and illegal gratuities in connection with the Department of Justice’s prosecution of individuals tied to Jack Abramoff. Investigated allegations of retaliation and harassment arising out of internal review of FCPA issues; advised Audit Committee regarding implications of findings and reformation of compliance policies and procedures. Defended David Geisen, a nuclear engineer and former manager at Davis-Besse Nuclear Power Station, in criminal and administrative trial proceedings arising out of allegedly false and misleading submissions to the Nuclear Regulatory Commission. Led multi-country investigation into potential FCPA violations on behalf of multinational company operating in Asia, Middle East, and Africa and advised company regarding potential disclosure and remediation issues. Represented an oil company founder and CEO in simultaneous investigations by U.S. Department of Justice, various Congressional committees, and the United Nations-sponsored Committee into alleged misconduct in connection with the United Nations Oil-for-Food program. Defended senior executive in a U.S. Department of Justice Antitrust Division criminal investigation into allegations of price-fixing and market-allocation in the auto parts industry. Represented a foreign diplomat in U.S. government investigation into allegations of espionage and mishandling of classified documents. Multiple firm lawyers were quoted regarding the arrival of Jason Workmaster at Miller & Chevalier. Washington, DC, January 14, 2019 – Miller & Chevalier Chartered today announced that prominent government contracts expert Jason N.
DOJ Investigations: Is Sharing Unavoidably Hazardous? You Mean You're Really Going to Try an FCPA Case? In this article, George Clarke, Andrew Wise, and Tom Zehnle* discuss how the U.S.